'Close to something so special', 'Sign him up': These Spurs fans are dreaming of huge agreement | The Transfer Tavern | Where football transfer rumours fly or die! 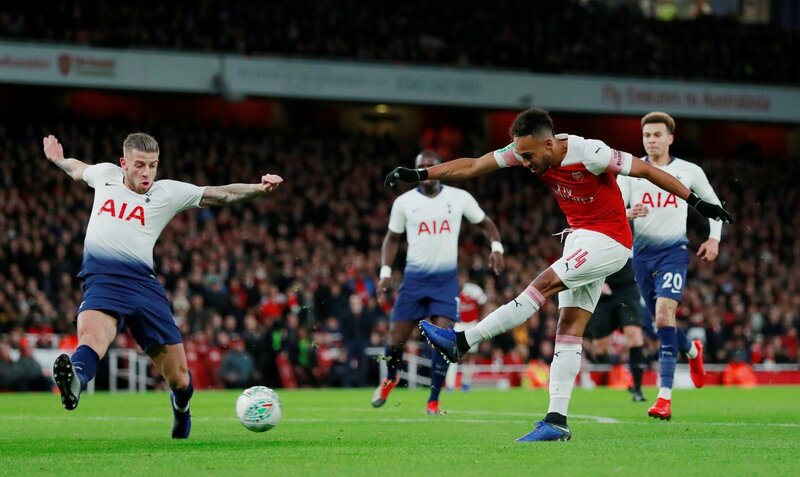 Tottenham Hotspur produced an incredibly disciplined and clinical performance at the Emirates Stadium last night as they moved into the semi-final of the Carabao Cup with a 2-0 victory over Arsenal. The likes of Dele Alli and Son Heung-min will naturally steal the headlines after they scored the goals which ultimately carried Spurs into the next round of the competition. Son continued his fine form with an emphatically taken first-half strike before Alli wrapped up proceedings with an outrageously well taken lofted finish, but it was the defensive performance which provided the foundations for victory. Arsenal have been in electric form at times this season with their free-flowing style of play, but there was little by way of evidence to suggest they are a threat to Tottenham’s place in the top-four this season. The back-four, marshalled by Alderweireld, were excellent from start to finish and thoroughly deserved a clean sheet. The Belgium international provided a telling reminder of his quality with time running out on his current contract, and his exceptional performance provoked plenty of supporters on Twitter to urge him to put pen to paper on a new deal. On his day Alderweireld is simply one of the best defenders in world football, so the reaction from the Spurs fans, which is beginning to verge on desperation, is completely understandable. Whether Mauricio Pochettino and Daniel Levy can convince him to remain in north London remains to be seen, but there’s no doubt how the supporters feel about his long-term future. In it to win it but Toby please stop teasing us and sign that contract. We are so close to something so special. Get it done Toby. New long-term contract at #thfc? This way.